The Middlesbrough Food Partnership reviews Middlesbrough’s town-wide approach to food. 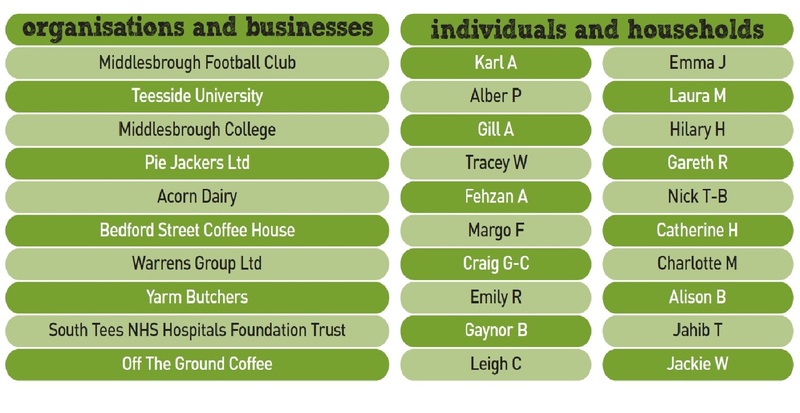 The Partnership includes individuals, community groups, organisations, businesses and Middlesbrough Council. 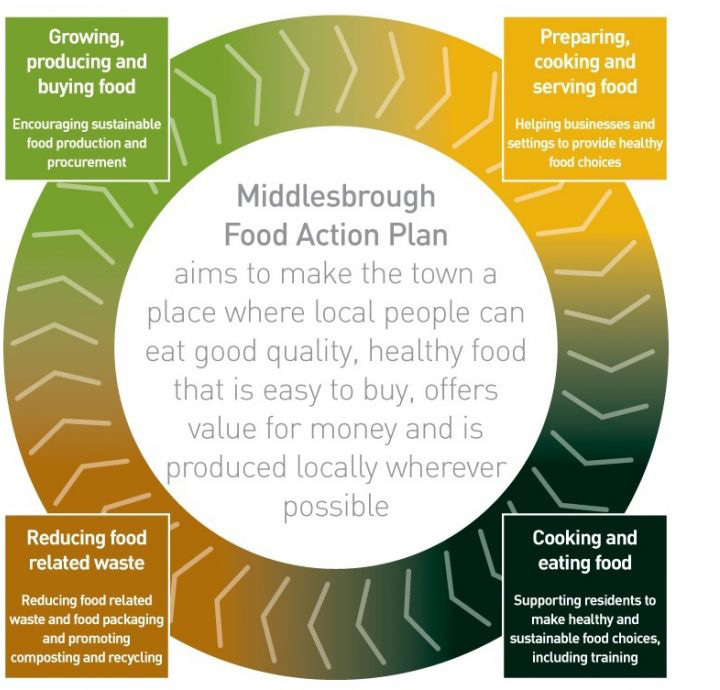 It has identified a number of shared priorities and actions that can be taken to make sure Middlesbrough has a more sustainable and secure food future. The actions are summarised here, in the Food Action Plan. The Food Action Plan provide a way for all residents and businesses to get involved in sustainable food. The Food Partnership will support local businesses and settings to procure and provide healthy and sustainable food to boost local prosperity, encourage healthy eating and protect the environment. To find out how local organisations and business can help view here. To find out how individuals and households can help view here. 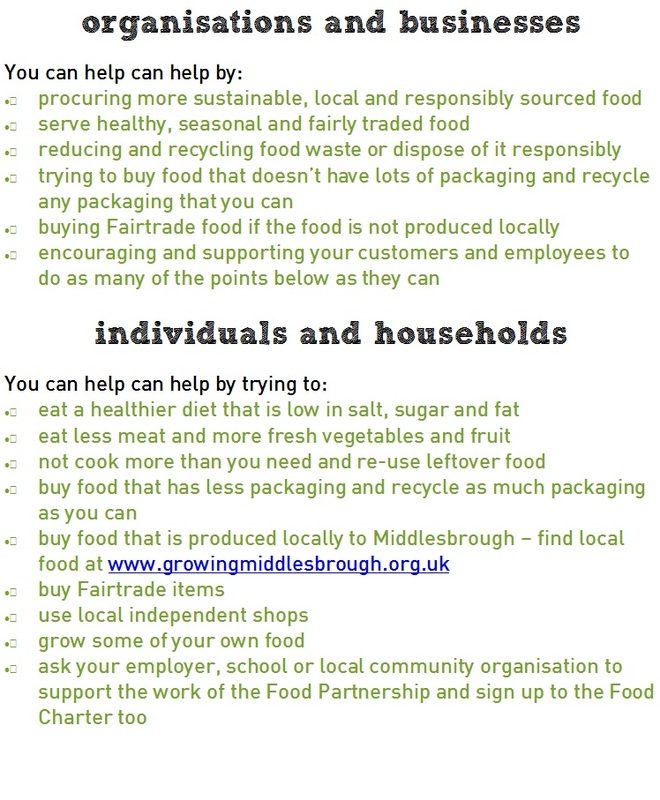 Since then, Middlesbrough has been designated One Planet Living status, with a work programme to help local people live healthier and more sustainable lives in a way that often saves money. view here.